Start my Safeco Windshield Replacement Claim Online Today! Glas Tek is an approved Safeco windshield replacement and auto glass repair service provider. Safeco insurance works with a third party administer (TPA) to help assist policyholders in filing auto glass claims. As a result of this partnership, we can offer unparalleled price and service, guaranteed nationwide. Our contract pricing agreement assures that every windshield replacement will be backed by Safeco with no additional out-of-pocket cost to you. Plus, Glas Tek will pay you up to $150 CASH with any approved Safeco windshield replacement insurance claim. 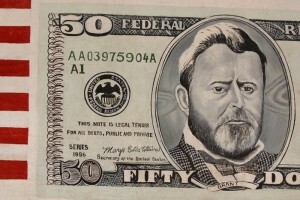 Safeco gets quality service and materials at fair and reasonable pricing and you get up to $150 CASH in your hands. 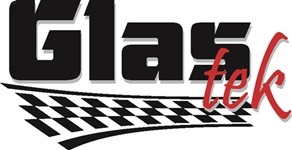 To ensure a faster and more efficient claims filing for windshield replacement, call Glas Tek directly and they will help expedite the claims process. They will also answer all your questions before the process begins. Glas Tek will then facilitate a conference call with Safeco. The insurance company will require the policyholder to answer a few questions as part of the process. Once Safeco has verified your coverage, they will authorize Glas Tek to perform the work. Most calls are completed in 15 minutes or less, so you are assured of fast processing. During the conference call, Glas Tek will be providing support to ensure that you provide correct and accurate information. Note that all calls to Safeco will be recorded and monitored to keep track of their service quality. You will also be notified that Safeco utilizes a third-party to handle their claims. As stated in the Arizona State Law ARS 20-469, you have the legal right to choose which auto glass service provider you want to work with. Plus, Glas Tek is an approved Safeco windshield replacement shop and will be backed by Safeco’s nationwide lifetime warranty. Glas Tek is an approved Safeco windshield replacement shop, is backed by Safeco with a nationwide guarantee, accepts Safeco contract pricing, and gives you up to $150 BUCKS ON THE SPOT! You either have a business or personal policy. Glass-only damage is covered by the policy but if there are other damages, you will have to pay the comprehensive deductible. Insurance companies want to know if repairs have already been made. If so, you will be reimbursed to cover the cost. You need to provide your phone number and/or e-mail address. Insurance companies need this information to confirm your claim. The zip code is required for verification of your identity and location. Your policy number will help verify your identity, location, type of policy coverage and other important information necessary for the processing of your claim. The date when the damage occurred will help determine your eligibility for coverage. It is best that you provide the exact date. However, if you are unable to, make the best estimate you can based on your knowledge. If you are covered, your claim will undergo processing immediately. If the incident of loss or damage occurred more than 6 months prior to your filing, your policy may be archived to verify your eligibility. To avoid inconvenience and added cost on your part, get in touch with your insurance company right away after loss or damage has occurred. Your insurance company also needs to know where the damage occurred – specifically, which state. They will also need to know what happened and how the damage occurred, if it was accidental or intentional. Your insurance company will want to know what caused the damage, so make sure to provide the details of the damage. If your windshield was damaged by a rock, for example, or debris or some other projectile, it is best that you provide this information. The insurance company will also ask information about your vehicle, often to verify its coverage and to check it against any reports and records that will be created during the auto glass or windshield replacement process. Once all the necessary information has been collected, Safeco will confirm your policy coverage and repair shop of choice. You will then be provided with further instructions about what to do to initiate the work needed. Safeco Auto Insurance has been a subsidiary of Liberty Mutual Group since 2008. Liberty is the 5th largest insurance company in the U.S. specializing in property and casualty policies. Safeco was founded in 1923 by Hawthorne K. Dent as General Insurance Company. It expanded into a new branch called Selective Auto and Fire Ensurance Company of America (S.A.F.E. Co.) in 1953. The company’s headquarters is in Seattle, Washington. Safeco Insurance is a full-service insurance company with local offices and independent agents. Safeco Auto Insurance is a member of the Safelite Solution Group. We are a preferred service and parts provider for Safeco members. As such, we can assure you of our adherence to Safeco quality standards and pricing. Our services are covered with a lifetime warranty from both Safeco and Glas Tek. Years of experience in the industry, service quality and knowledgeable agents have earned Safeco Auto Insurance a spot as one of the top insurance companies in the U.S.